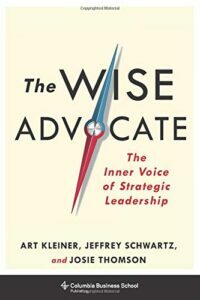 Authors Art Kleiner and Jeffrey Schwartz discuss the lessons neuroscience can teach leaders about better decision-making. This was a great interview with so much here that I will have to listen to it a few more times and get the book ASAP to understand this better. The authors make a compelling case on how to get control of your brain to be an effective strategic leader. Anyone who wants to be a strategic leader must read, study and put many of the ideas into practice.